Michael Berger of Stonebridge Partners joins this episode to talk about another yet unique means to invest our money in – the Cannabis industry. Cannabis is used in three main forms: marijuana, hashish and hash oil. It is a mood-altering drug that can induce calm and is sometimes used medicinally as a form of pain relief. 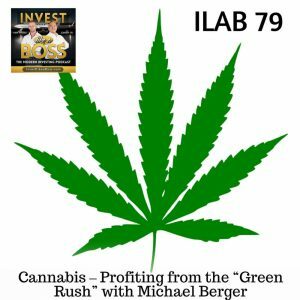 Listen to ILAB 79 on iTunes here or subscribe on your favorite podcast app. 25:35 – How Technical 420 started?